Following disappointing sales figures in France over the last few months, worries have been expressed as far as MIA’s future was concerned. The company’s new CEO, Kirsten Roennau, was therefore determined to reassure both employees and customers, by announcing the company’s strategy for the coming months. “International markets are our first priority today. We wish to develop the company on European markets which are mature in terms of the electric vehicle’s development, for example Northern Europe and England. 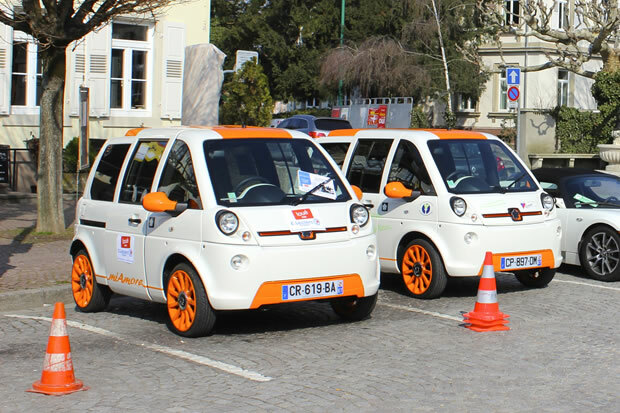 On these markets where the electric vehicle is more present and where the notion of sustainable development is more thoroughly widespread, our ambition is to position MIA Electric for final consumers and car-sharing fleets, thanks to our offer on battery renting in particular. Meanwhile, we are going to center our commercial work in France around business fleets for “last kilometer deliveries” and, in particular, further explore the market of industrial businesses for whom green mobility is an important economical issue. As an observer of the electric car market, it seems to me that these new directions correspond to MIA’s potential as a product. As we saw in Norway, MIA can certainly break into Nordic markets. This electric car’s friendly image and its “modular” conception also make it interesting for car-sharing fleets. Of course, MIA will have to face the electric cars built by bigger carmakers, especially on the market of personal vehicles. Yet, I have noticed that a “MIA community” and “MIA spirit” have appeared as time went by. Indeed, for some people, the MIA is the car that best corresponds to their everyday use, and they would not want another one. Finally, Kirsten Roennau announced that the company was looking for partners in order to help its development and ensure its long-term future. As far as this question is concerned, Kirsten Roennau indicated that talks were currently ongoing with “a consortium of international investors who are very much interested in MIA Electric’s overall competence and its unique know-how”.